CONDITION REPORT: Dial is in mint condition with a stunning patina on the tritium hour markers and original as well as the hands. The case is mint and unpolished. NOTES: According to the Omega Museum this watch was manufactured March 6, 1987 and delivered to the UK. Accompanied by its original box and blank warranty papers. 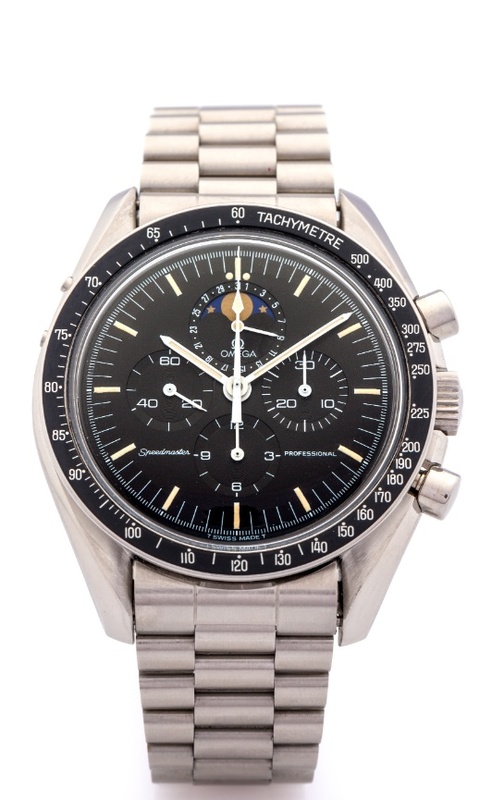 In 1985, Omega released the first Speedmaster with a Moonphase and a date. This Calibre 861 with added complicated became the Calibre 866. This model reference 345.0809 was delivered from late 1985 until 1988 and only an estimated 1300 pieces were made. This makes the Speedymoon a highly sought after reference.